If you are a Michigan homeowner with an older basement, you might notice a quarter-size stain on your basement wall with a leak mark that goes down to your floor. These are known as tie rod hole leaks. These little annoying, pesky holes result from the construction of your home. With older constructions, concrete forms are built from wood and held together with steel rods every 1-1/2 feet. 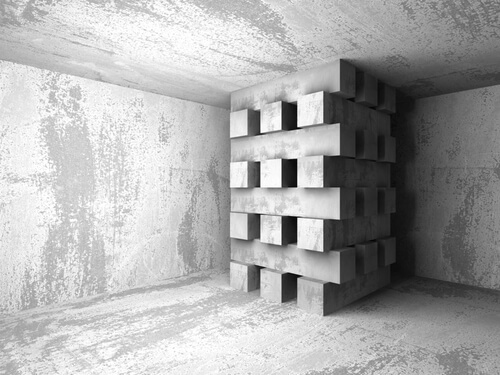 The steel rods are typically placed in two rows being about 1 foot high from the top of your basement floor to five feet high. After removal of the rods and wood forms, there are tiny holes called rod holes. 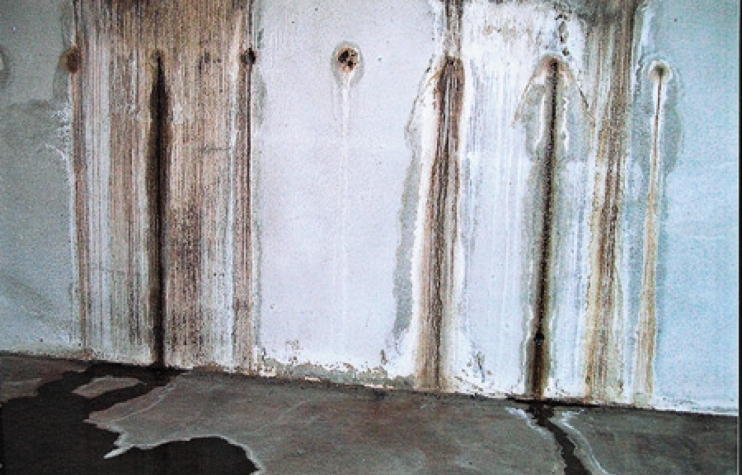 By and far, these are one of the most common basement leak issues that are facing Michigan homeowners. These rod holes can easily be repaired by the StayDry® team using our polyurethane crack injection method. At StayDry®, we prefer our polyurethane injection method for our Michigan clientele. In the industry, you will see that the competition offers a plug that is to be placed in the rod hole. This is billed as a DIY solution and is a short-term investment, at best, only. These plugs are water activated and will swell when placed in the rod tie hole. Our polyurethane material will penetrate cracks that may have formed adjacent to your rod tie holes. The “plug” solution might not seal all the way–our polyurethane material works every time. We back our service with our industry-leading lifetime transferrable warranty. Another common do-it-yourself method is to chisel into the holes and fill the holes with hydraulic cement. In most situations, this is not enough to fill the rod tie hole. A lot of times, the leaking won’t stop and you will have to excavate outside your home and fill the holes from that side. If you call StayDry® and do it right the first time, you’ll only have to call us for rod tie hole, not an exterior basement waterproofing job that can be much more costly. 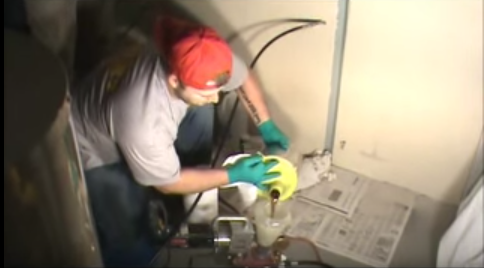 StayDry® uses a polyurethane injection method to repair rod holes in your home. This injection method involves a tremendous amount of pressure, roughly 1,500 to 3,200 per square inches. This pressure ensures that the material travels through the entire thickness of the foundation wall (anywhere from 6″ to 9″). Also, our polyurethane method expands and hardens within the rod hole to eliminate water from leaking into your basement. StayDry® prides itself on having the best customer service in Michigan. We’ve secured an A+ with the Better Business Bureau and have a 5-star reputation on Google. With 100+ years of experience as the best Michigan basement waterproofing and foundation contractors around, we offer an industry leading lifetime transferable warranty. You won’t find a service option like this anywhere in Michigan. Moreover, we offer 0% financing for Michigan homeowners. For a free estimate, you can simply call us at 1-800-StayDry or fill out the contact form on this website.